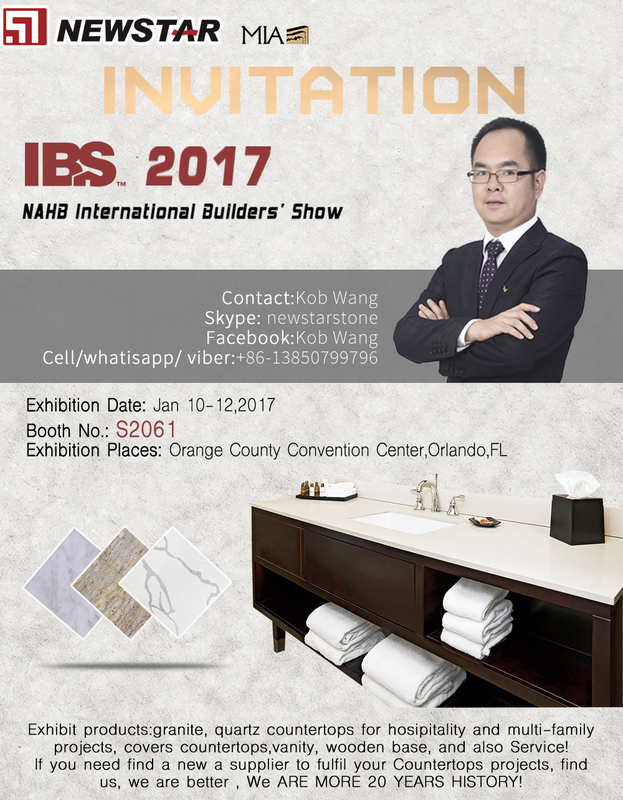 Newstar Stone will attend NAHB International Builders' Show in Orange County Convention Center, Orlando, FL. The exhibit products arrange from granite and quartz countertops, vanity, wooden base etc. for hospitality and multi-family projects. It��s our pleasure to show you some of the new colors for the countertop and new design of the vanity. Warmly welcome your visiting. Come and discuss with us about the products, also the business trends.Any sample require, please feel free to contact with us. We will prepared for you in advance. Looking forward to meeting you on the fair. We will analyze with you on the booth if you bring your plan or drawings.